Boyd Pfeiffer has rightly become one of the most trusted names in the world of fly tying advice. His no-nonsense approach and his excellent, detailed photography make his work unique. 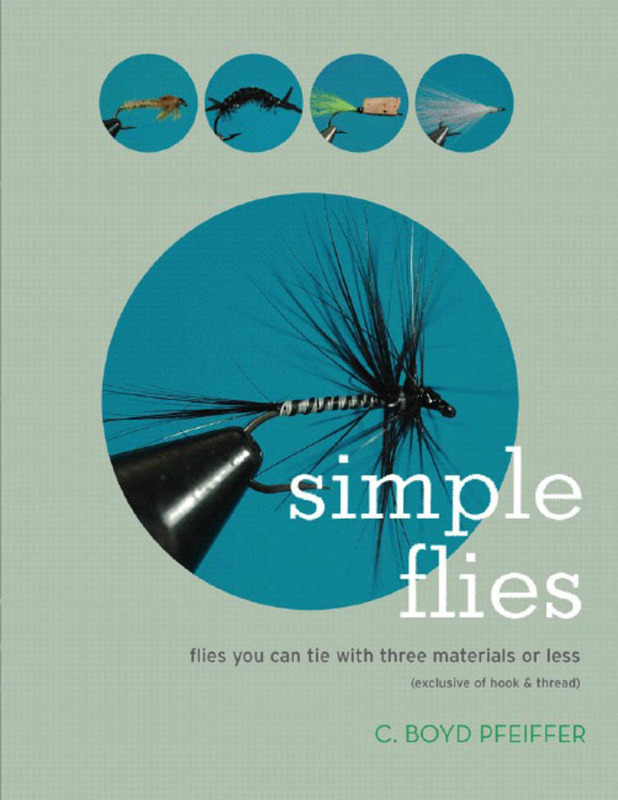 Simple Flies takes a singular approach of designing and selecting fly patterns that requires no more than three materials for any one fly. This makes them both quick and easy. But, don't let that be confused with ineffective. These are flies that will catch fish all over the United States. Patterns include dry flies, wet flies, nymphs, streamers, terrestrials, surface bugs, and even saltwater patterns. No fly fisherman should be without it. Full-color throughout, index.